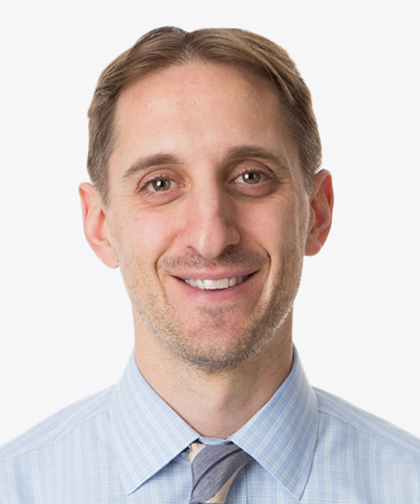 Bradley C. Clark, MD, is a Pediatric Cardiologist and Electrophysiologist at Children’s Hospital at Montefiore (CHAM) and Assistant Professor of Pediatrics at the Albert Einstein College of Medicine. Dr. Clark’s clinical focus is treating patients with rhythm disorders, including heart block, supraventricular tachycardia and ventricular tachycardia, using medical and interventional therapy. Dr. Clark evaluates and treats patients with inherited arrhythmia disorders and assists in the work-up of family members. Dr. Clark has been a member of the CHAM team since 2017. Dr. Clark received his Bachelor of Science in Anthropology and Human Biology in 2004 from Emory University. He received his Doctor of Medicine in 2008 from the University of Medicine and Dentistry, New Jersey Medical School. From 2008 to 2011, Dr. Clark completed an internship and residency in Pediatrics at the Children’s National Health System in Washington, DC. He completed a fellowship in Pediatric Cardiology in 2016 at the same institution. In 2017, Dr. Clark completed an advanced fellowship in Pediatric Electrophysiology at Children’s National Health System. He is board certified in Pediatrics and Pediatric Cardiology. Dr. Clark’s research focuses on minimally invasive techniques for pacemaker and ICD (implantable cardioverter-defibrillator) insertion in a pediatric model. Additionally, Dr. Clark is investigating methods to predict increased risk of sudden cardiac death in patients with repaired congenital heart disease. Dr. Clark has presented at many national meetings, including the American Heart Association, American Society of Echocardiography and the Heart Rhythm Society. He also has a number of publications on various topics of expertise. In 2015, Dr. Clark received the Children’s National Research Week Abstract Award in Basic/translational Science, as well as the American Heart Association Council on Cardiovascular Disease in the Young – Abstract Travel Award. Dr. Clark was awarded the SADS (Sudden Arrhythmia Death Syndromes) Foundation Courts K. Cleveland Jr. Young Investigator Award for excellence in the field of pediatric channelopathy research in 2016. Dr. Clark and his co-investigators were ranked in the top 50 of the MedTech Innovator Competition in 2017. Dr. Clark is a fellow of the American Academy of Pediatrics and a member of multiple societies, including the American College of Cardiology, Heart Rhythm Society, Pediatric and Congenital Electrophysiology Society and the American Heart Association.